HBO has landed the first cable partner for its hotly anticipated new streaming service. Cablevision (CVC) said Monday it will be the first Internet service provider to offer HBO Now, the premium channel's standalone streaming service that was announced in October. The service will be available to its Optimum Online broadband customers. HBO CEO Richard Plepler estimated last year that there are still about 80 million homes that don't have HBO. About 30 million households currently subscribe to HBO via cable or satellite. Cablevision provides television, phone and Internet services to "millions of households and businesses in the New York metropolitan area," according to the company's website. HBO is owned by Time Warner, Inc. (TWX (TWX)), which is also CNN's parent company. "As New York's premier connectivity company, we are enabling Optimum Online customers to enjoy content in any way they choose to receive it," Cablevision chief operating officer Kristin Dolan said in a statement Monday. "We are well-positioned to support HBO NOW and, as technology advances, Cablevision will continue to meet the evolving needs of our customers." Last week, Apple (AAPL (AAPL)) and HBO announced that they reached a deal that will allow customers to use the service on iPads, iPhones and Apple TV for $14.99 a month. 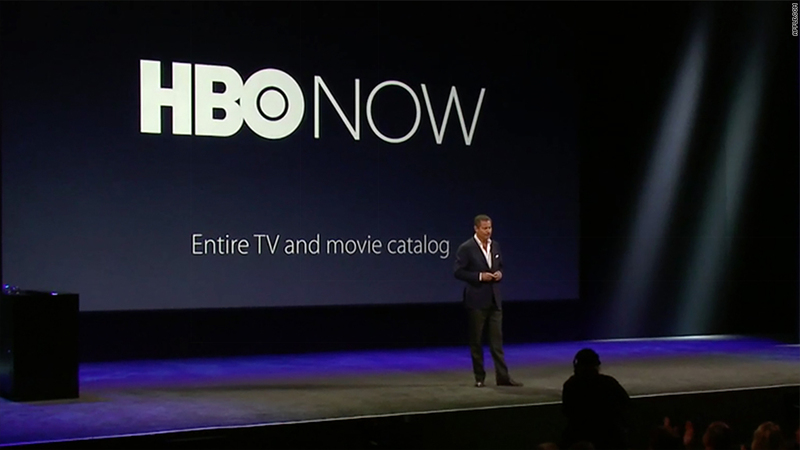 HBO NOW will only be available in the United States. It's expected to launch early next month, coinciding with the fifth season of "Game of Thrones."